Mothercare boss Simon Calver has resigned as chief executive from immediate effect. The news comes six weeks after the retailer issued a profit warning. Group worldwide sales fell 6.1% in the 12 weeks to 4 January, with UK like-for-like sales down 4%. The group made a loss of £21.7m in the UK in its last financial year. Mothercare hasn’t given any reason for Calver’s exit. In a statement, Mothercare chairman Alan Parker said: “Since Simon Calver joined Mothercare PLC in April 2012, under his leadership the company has made progress in implementing the Transformation and Growth plan. “In particular, Simon Calver’s e-commerce expertise has allowed Mothercare to accelerate its development as a multi-channel retailer in the UK. We wish him well in the future. Calver’s contract entitles him to £250,000 in lieu of six months’ notice. He will not receive a bonus for the 2014 financial year. Calver was appointed chief executive of Mothercare in April 2012. 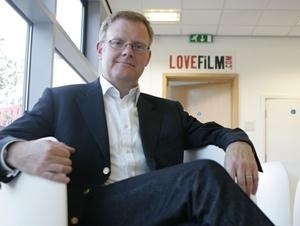 He also co-founded LOVEFiLM, the online DVD and Digital Entertainment company, now part of Amazon Inc.
Posted on February 24, 2014, in #retail, #uk. Bookmark the permalink. Leave a comment.